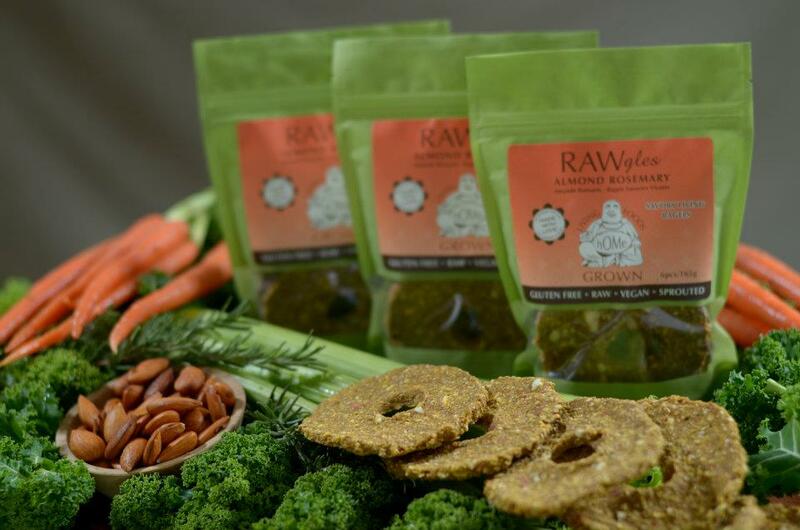 The local selection of super healthy snacks just got bigger and more interesting with hOMe Grown Living Foods launch of 8 products in Vancouver. hOMe Grown is based in Cowichan, BC and led by Shani Creston, a holistic chef and multi-modality practitioner. It is an extension of her founding company Milagro Retreats, which offers a space for healing and transformation. I was very tempted to sample the RAWgles – sweet or savory living bagels – something I’ve never heard of before. They come in apple hazelnut and almond rosemary flavours. But my chocolate tooth over-ruled and demanded CHOCOlivies (front stack). 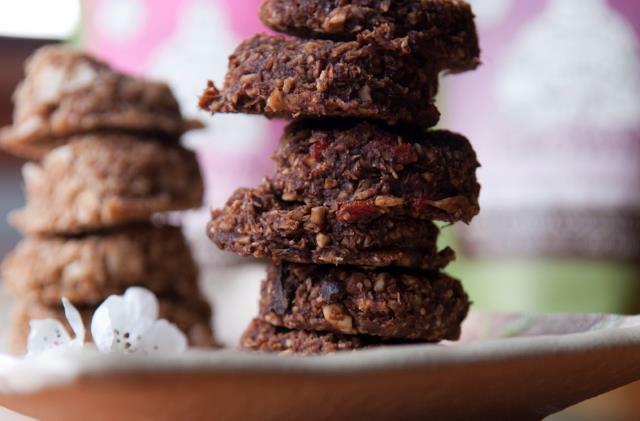 Think a really simple but flavourful dessert meets energy bar in the form of a cookie. 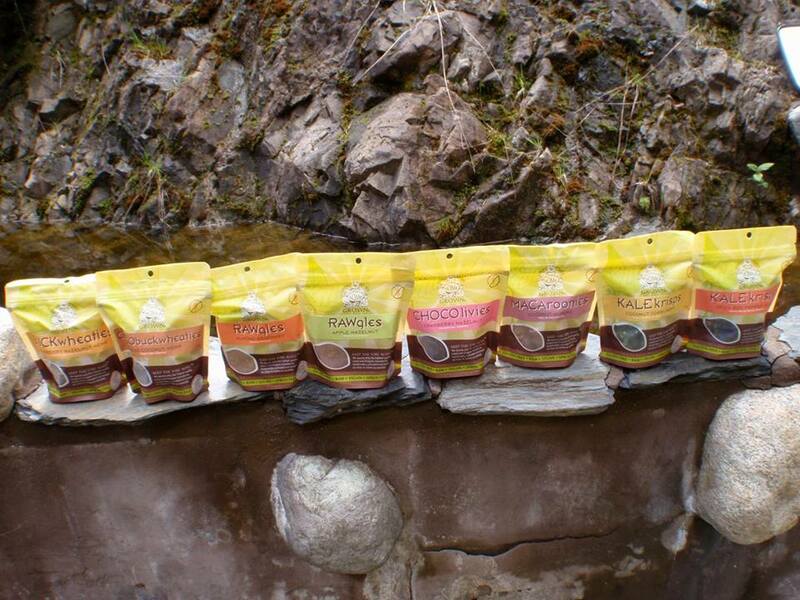 Can you see the coconutty MACAroonies at the back of the photo? I wanted those too. 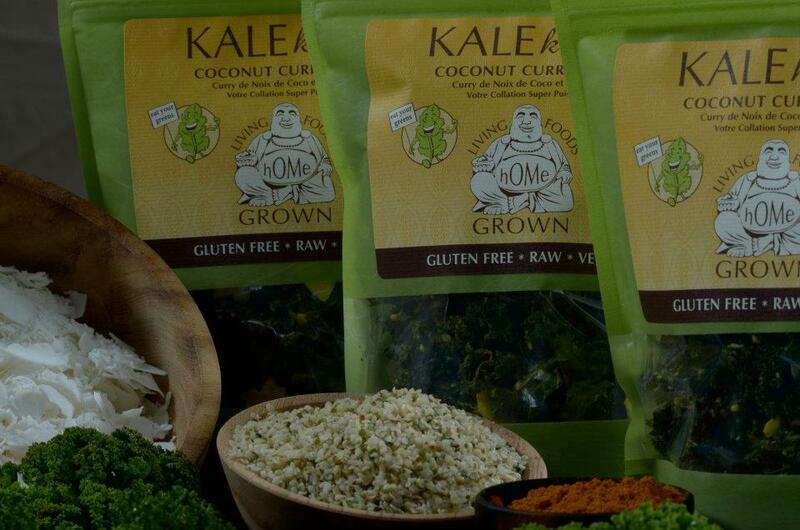 All of hOMe Grown’s products are gluten free, raw, vegan and sprouted. HOMe Grown uses only the highest quality local and organic ingredients sustainably cultivated and grown as close to home as possible. This explains why the products are more expensive than competitor items that may not be as quality-oriented or creatively dreamed up. 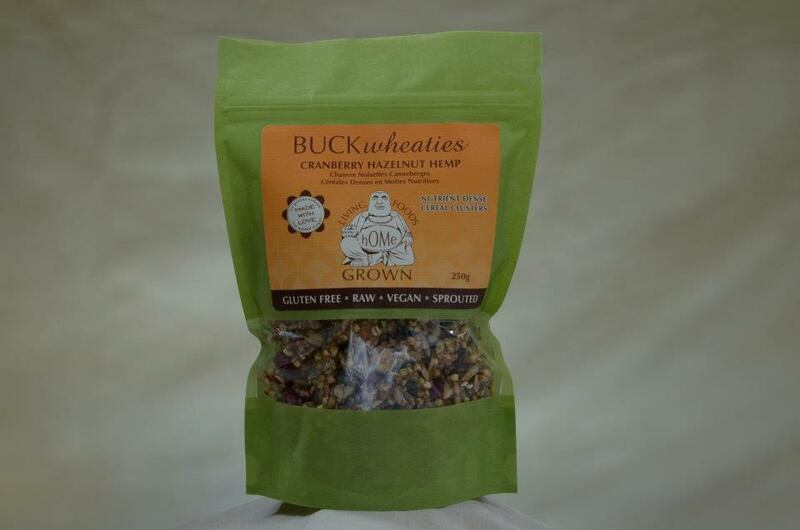 Then there’s the CHOCObuckwheaties and Cranberry Hazelnut Hemp Buckwheaties. I imagine that if you have them for breakfast, you will sail through your day no matter what happens. And finally, this “very difficult to choose” selection includes Kale Krisps in coconut curry hemp and spicy red pepper hemp flavours. I’m so glad I’m not big on kale chips. Two less to choose from. Well. Don’t you want to just run out and get something hOMe Grown? Their Facebook page indicates where products are available. In Vancouver, check out Whole Foods Market Cambie and Organic Acres Market.